Product categories of Opp card head plastic bag, we are specialized manufacturers from China, OPP Card Head Plastic Bag, Environmental OPP Card Head Plastic Bag suppliers/factory, wholesale high-quality products of Thickened OPP Card Head Plastic Bag R & D and manufacturing, we have the perfect after-sales service and technical support. Look forward to your cooperation! Opp card head plastic bag are also called son bags. 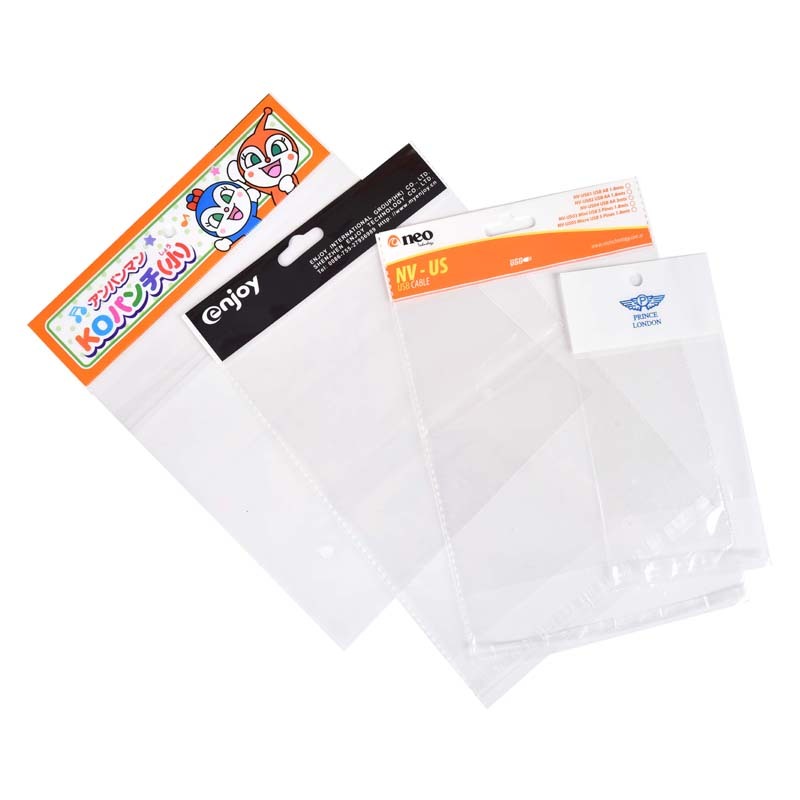 The OPP Card Head Plastic Bag is generally divided into two parts. First, the second bag is a card head, and the card head is equivalent to an "advertisement bit" used to advertise or attract consumers' desire to purchase. OPP card head Plastic Bag is odorless, tasteless, non-toxic, has a very high tensile strength, impact strength, toughness and good transparency. Used in stationery, jewelry, food, etc. OPP card head Plastic Bags are widely used for cosmetics, mask paper, small jewelry, ladies socks, cards, packaging clothes, shoes, hats, scarves, magazines, can hold food such as bread, grains, dried fruit, non-toxic and tasteless, but also food Special bag, you can rest assured to buy.